If you know the work of Pierre Bourdieu, you probably know it as sociology, or perhaps philosophy. Whatever you call the discipline he worked in, the man remained thoroughgoingly concerned with the dynamics of power in every context. This interest extended even to his artistic endeavors, such as the photographs he took in Algeria in the late 1950s and early 60s, when he worked in that country as a university lecturer. 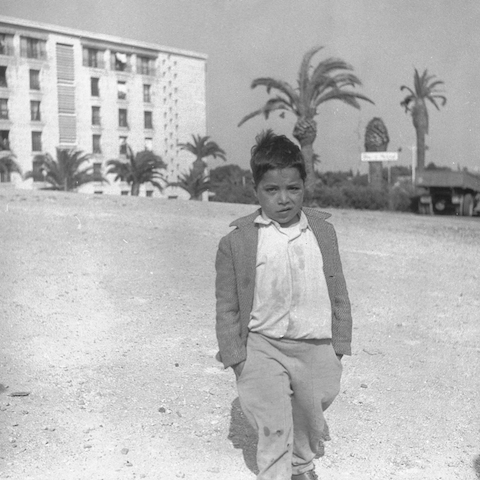 The time and place of the Algerian War would have given anyone plenty to document, visually or otherwise, but it proved, for obvious reasons, an especially rich intellectual ground for a Frenchman thinking about power dynamics. 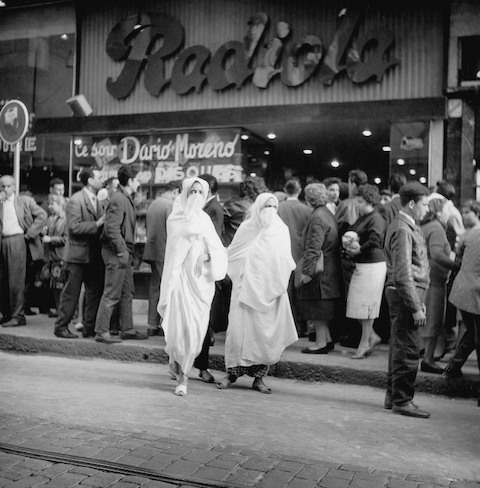 Columbia University Press recently assembled the fruits of Bourdieu's labors with open eyes and ready camera into the collection Picturing Algeria, which they've spent a week examining on their blog. The photos in this post come from a post of theirs featuring a few selections from the book. "Bourdieu’s photography offers a sympathetic and insightful portrait of a country and a people," they write there, "who were ostensibly the enemies of France." Another post offers sociologist and London School of Economics and Political Science Director Craig Calhoun's introduction to Picturing Algeria, in which he describes the book's photographs as "neither the completely naïve snapshots of a newcomer nor products of a fully formed sociologist or anthropologist." "The young Bourdieu was a good photographer," Calhoun continues. "His pictures offer interesting, sometimes beautiful compositions. But when Bourdieu looked back on these photographs nearly a lifetime later, he said that the ones that moved him most were the most naïve." You can read more from Bourdieu himself in an in-depth 2001 interview posted by Columbia University Press. What separated his "naïve" pictures from those taken by the many professional photographers who passed through war-rocked Algeria? "I think — apart from occasional flukes — it was not easy for them to take an unconventional view of this society," Bourdieu says, "a view that was not exclusively picturesque by design: a weaver at work, women coming home from the well." 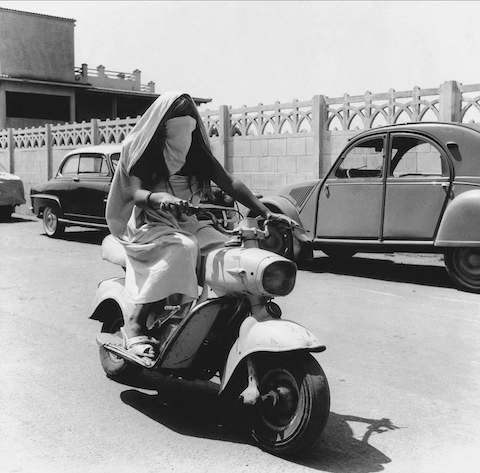 He calls the veiled woman on a moped, pictured here, one of his "most typical" photos, "a photo they could have taken as well," but one which still gets at the elusive nature of his "dual, contradictory and ambivalent experience" in that "strange country in which I had a constant sense of tragedy, yet saw a lot of funny things too that made me laugh or smile [ … ] an experience that I always found very hard to express or convey here in France." Just the sort of thing that — as rarely as Continental academics can accept this — only images, never words, can properly evoke. You can purchase your copy of Picturing Algeria here.